Within our CXM Interview series, we have talked with the director of technology at Expedia, Jonas Olofsson, about trends and technologies in the travel sector, user experience and the purpose of Web Content Accessibility Guidelines 2.0. Hello Jonas, how the things are going at Expedia? Jonas: This year is Expedia’s 20th Anniversary and being a leading technology business for two decades has taught us several lessons. The most important lesson we’ve learnt is that you need to invest in new technology and intelligence to stay innovative, relevant and nimble. In our business, relevance of content and conversion are interlinked. Our goal is to give travellers the most relevant information for them, which is why we use pattern recognition technology that takes data from across Expedia’s brands and delivers insights in a way that consumers find useful. The more customers that visit our website, the more effectively we can match customers with relevant content. The next big thing in travel will be better use of information to make travel more personalised and predictive in real-time. The biggest challenge we face in travel is to make the booking phase as seamless as possible. As the director of technology, can you tell us to what extent have things changed in the travel industry lately, and what kind of technology proved to be game-changing and disruptive? Jonas: What’s changing in the travel industry applies to most major industries. Cloud enables us to move faster throughout the whole development lifecycle: from development to testing ideas, as well as deploying and scaling our infrastructure. Big data is also immensely important: to be able to handle vast amounts of data in an efficient way to ensure customers receive the most relevant content. Chatbots are potentially the next evolution in discovery. Expedia’s goal, since we started, has been to help travellers find the best answers to their travel related questions. These questions come in the form of “where should I go,” or “what hotel is best for kids,” or “I need help as my travel plans have changed.” The traditional web interface for travel relies on customers coming to us with some of these questions already answered. It’s a format that hasn’t fundamentally evolved in years. With a chatbot interface, Expedia and our travellers have an opportunity to interact in a more open-ended and natural manner. Our monthly theme is trying to touch upon the subject of dying practices in the world of CX and UX. Can you recognize some of them through your work at Expedia? Jonas: I don’t see any practices dying within the CX and UX industry. In fact I see most products coming out of the travel industry are faster, smarter, and more usable than ever before. CX and UX for me is about the whole user experience and it needs to be seen as a skill or muscle that an organisation needs to develop. For instance, by hiring the right people to drive those disciplines it’s also necessary for organisations to embrace UX just like product development and marketing are meant to be carried out in short cycles and within cross-functional teams. No discipline today can be planned in isolation without considering all the aspects of the development phases. The general IT industry has shifted from a conformity approach (through standardisations and governmental enticement) to an approach of ‘doing the right thing’. For instance, today accessibility is not enforced, but rather companies can choose to conform to it or not. Most companies find that if they have an advanced product, they also focus on making the product accessible because it’s the right thing to do when you have a sustainable business. In fact I believe that making our products accessible, will not only improve the full user experience but it will also provide a more user friendly experience to our customers that do not require accessible features. Recently we had an article telling us that travel industry seems to be failing to cater the needs of people with disabilities. What makes a great and inclusive user experience today? Who are the leaders in the industry who are able to provide it? Jonas: I agree that there are big improvements that can be done around accessibility. At Expedia, we take this very seriously. One way we make sure we address accessibility issues is to ensure we assess our site through the eyes of all types of customers. For example, a member of our product team is visually impaired and he tests our website to make sure our accessibility targets are met. Additionally, we have a network of accessibility advocates across our UX, product and engineering teams who make sure that we prioritise accessibility concerns whenever we build a new product or service. A great inclusive user experience incorporates accessibility within the full development process: from UX, to product thinking, to development, testing and also non-functional aspects: performance, browser support (screen readers, responsive, etc). To do this well, teams that work on the UI/Front-End need a good understanding around certain aspects that normally may not be considered. This is to ensure teams build simple, clean, fast experiences for all travellers. In a recent report by Sigma, Skyscanner was at the top of the league table when the company website was tested for usability, ease of use on different devices and accessibility. However, despite the company achieving one of the highest scores for accessibility, it only scored 28 out of 35. In order to set an example within the industry for other travel booking websites, the site would need to score full marks. With the Pokemon Go revolution, this type of interface used is already adopted by some businesses. Is there a useful tool or approach that you recognize as the future of travel apps? Jonas: The way Pokemon Go uses augmented reality is also very interesting for travellers and companies that build travel technology. I believe it will be a bigger hit than virtual reality and provide better value in its first iterations. It is definitely something we’ll see more and more of in the near future. In fact, I think that there are surrounding technical challenges that, once solved, will enable this even further. For instance with data access when travelling (roaming), there is no reason why you shouldn’t be able to get features that show what direction your hotel is and the fastest way of getting there. It should also be able to show you some interesting places worth visiting which are within your immediate vicinity based on your preferences. If you are a foodie, interested in modern arts or have other interests – the app will show you where you can fulfil your interests and simultaneously keep you on the right track so you don’t miss your flight and connection to the airport. Can you tell us more about the Web Content Accessibility Guidelines 2.0? What is it and how does it help web builders today? Jonas: WCAG 2.0 helps organisations know how to develop good products for accessibility needs by using four groups of principles. These groups try to ensure that we look at how our products are perceived, operated on, understood and that they are robust. For example: To ensure full accessibility we should consider presenting content in different ways for both the visually impaired as well as people with loss of hearing. Operable is to ensure functions can be invoked in various ways – via keyboards/finger interactions but also ensure that buttons appear long enough to be able to be invoked for people with less ability of motor control. Robustness is to ensure that supportive accessible technologies such as screen readers are supported and future proof. These standards provide a good guide for companies to ensure there’s an industry-wide understanding of what is needed to ensure a good accessible experience for all users. The four different groupings is a good example of that breadth. Both as a professional and as a customer, how would you describe a great customer experience? And what are the practices that should be left in the past? Jonas: I would describe a great customer experience as being able to give a customer the information they want, given the customer’s context (where they are located, etc.) in a way that’s easy, fast and valuable. This means that UX is the responsibility of the full development cycle. Gone are the practices where UX is a mock or redline of how a website should look that’s handed over to development to fulfil. Many aspects of UX are left undiscussed when that happens: Speed of transitions, variations of UX with different levels of data, etc. In fact, UX is part of every feature so daily interaction and review between UX and developers are needed. This also means that UX is central to how businesses should test and learn features. We need to make sure that the developers understand our customers, what they value and the direction we want to take our brand to ensure that the user experience matches that. Grab the Early Bird price for CX Workshop and save 200£! 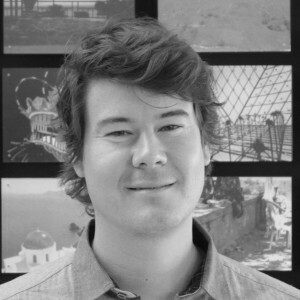 Jonas joined Expedia as a software developer manager in 2011 and is now the director of technology at Expedia. As a highly experienced expert in computer engineering, over the last 10 years he has held several engineering and management roles for companies including AOL UK. In his current role, Jonas is responsible for developing and promoting new product developments at Expedia.